Do you love skiing but have nobody to travel with? Or perhaps you’ve always wanted to try it but don’t know anyone else who skis. Well why not try a solo ski holiday? Travelling solo is something everyone should do at least once, you are more in tune with your surroundings, are free to do whatever you want, whenever you want, and it can really boost your self-esteem and sense of independence. All but unavoidable in most ski resorts, with most hotels open for just 4 months in the winter and 3 in the summer, they try to fill rooms to maximum occupancy. Try travelling in low season or mid-week however, and you may find them a little more flexible on price. See if the hotel has a single room available, rather than a double room for single occupancy and you can save some money. Why not try chalet style accommodation if you are keen to meet other skiers? While at a hotel guests don’t tend to socialise with each other, the informal setting and communal dining at a chalet mean it is easier to break the ice and you are bound to find people to ski with or at least dine with in the evening. Check out our ski holidays in Slovenia at the cosy Reka Hisa lodge, which sleeps up to 13 people, and is fantastic for meeting other people. Single rooms are available on request. The other major spending point to be aware of is airport transfers. Usually on a holiday if you grab a taxi at an airport, or have booked airport transfers, you’ll be splitting the costs between your entire travel group. However, as a solo traveller, the cost of transfers will be completely down to you. For this, we recommend looking for ski resorts that aren’t too far from the airport and have easy public transport options. Also look out for holidays with transfers included like our Presolana and Bulgaria packages. Alternatively, if you are confident driving on winter roads, then you could always rent a car which means you are free to explore the surrounding area. If you don’t want to spend the entire holiday in your own company, then sign up for collective ski lessons, whatever your level. Brush up on your technique and get chatting to the people in your group. You might find other solo travellers or people who would like to continue skiing with you or grab a bite to eat after the lesson ends. When picking a resort to stay at, we also recommend looking for somewhere with good après-ski options. Sign up for organised activities like snow shoeing or tobogganing through your hotel or the local tourist information office if there is one, that way you can socialise and try something new. On the other hand, if you prefer time to yourself then find a hotel with a good spa and spend the afternoon getting pampered. If you are planning a solo ski holiday this winter than have a look at our solo holidays page, a selection of our top solo breaks from across the site. 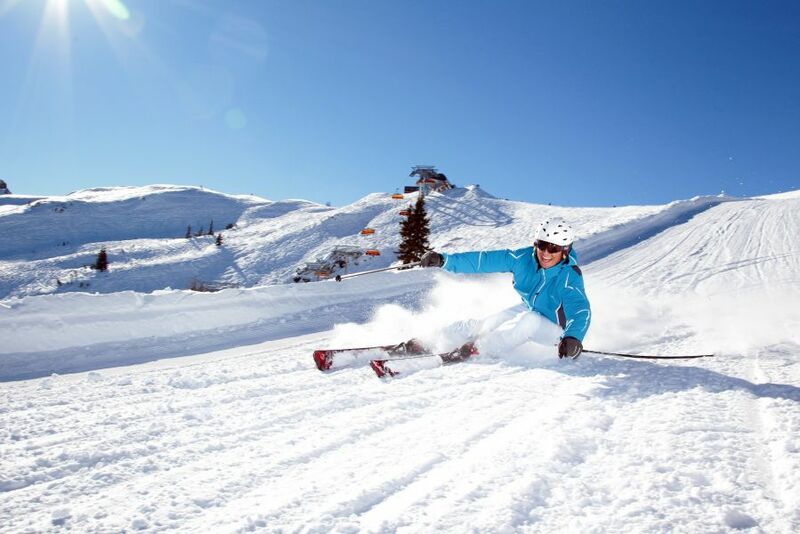 The solo ski breaks on this page can be booked online and the single supplement is low. Alternatively, if you like the look of any of our other ski breaks, or simply would like some advice on where to go, drop us a line and we can help you plan a fantastic trip!